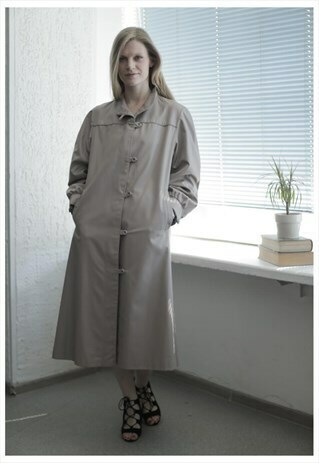 Lovely vintage 80's light brown trench coat with two sides pockets. Uk size not written but looks flexible like 8-12. Model size is 8. Measurements: length 45 inches, sleeves 23 inches, chest 41 inches, waist 44 inches, hips 47 inches.